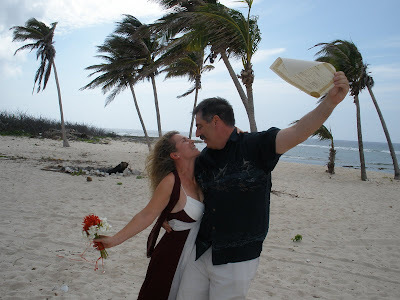 This German bride and Canadian groom met while she was visiting Cayman, through mutual friends and romance blossomed. 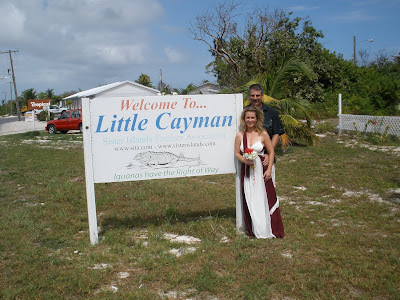 When they decided to get married they wanted a place which was truly memorable, and chose the smallest of the Cayman Islands. 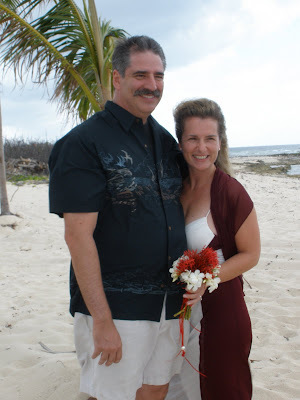 When she snuck out of her George Town office and headed to the airport, no one suspected she was on her way to a romantic get-away wedding on our Sister Island of Little Cayman. 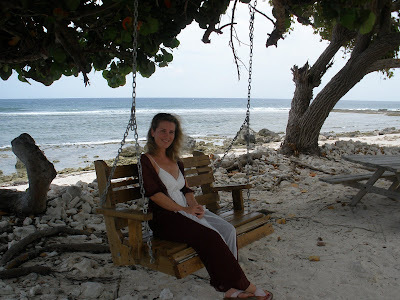 Here she is having a quiet moment before the wedding, at the Hungry Iguana Restaurant. 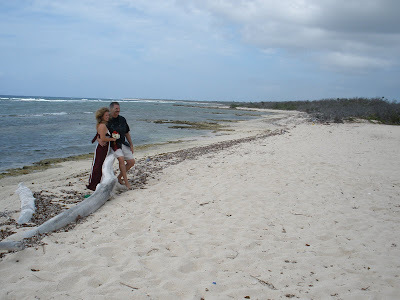 Their friends took us to this deserted beach on the north side of the island. There was not even another car in sight. 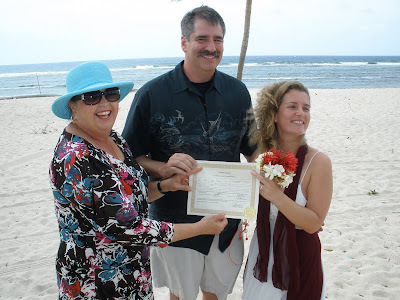 Here we are with the proof shot!